Do what you love and offer yourself to it! All of us work hard. And almost all of us pray. But if you make your work your prayer, you will neither need to work nor pray!!! 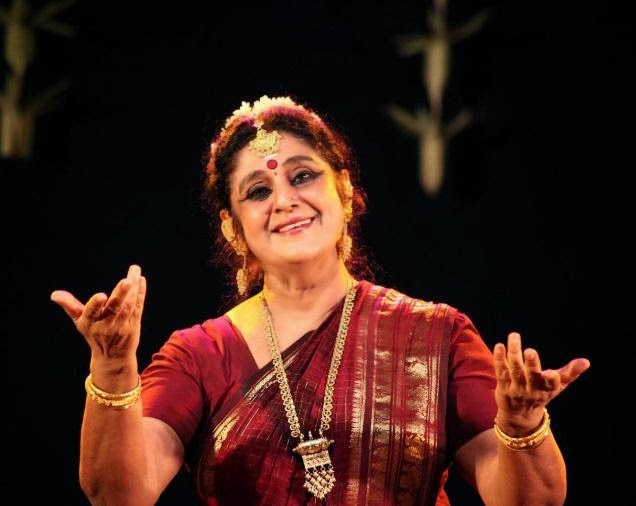 Yesterday I was in conversation with renowned theatre actor and voice-over artist, P.C.Ramakrishna in The Artist’s Soul Series that we curate at Wandering Artist. Ram said that theatre has always had a very therapeutic effect on him in helping him to deal with the pulls and pressures of everyday living: “I survived 26 years in a corporate job that I loathed, only because I had theatre rehearsals every day.” Ram eventually took early retirement from his job in 1993 and immersed himself in theatre and voice-over work. He’s been on his own, and happy, for over 24 years now. I believe the secret of Ram’s happiness is how he looks at his work. He loves what he does and he offers himself to it. Simple! Think about it. Life can be blissful for off us too. Let’s demystify two myths that the world has been conditioned to. 1. The first myth is that work is drudgery. That it is something you to do to earn a living. Rubbish. Work is everything you do. Whatever you are immersed in, whatever you are working on now. You are working at your computer now. You are working on your Facebook Page now. If you get up and go for a bath, you are working on cleaning yourself up. When you eat, you are working on your appetite and so on. Work therefore is everything we do living and not only what we do to earn a living. So commonsense demands that you choose to work only on what you love doing! 2. 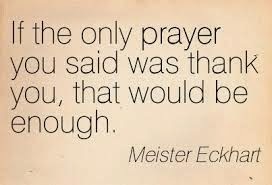 The second myth is that prayer is asking something from God. That it is a method. 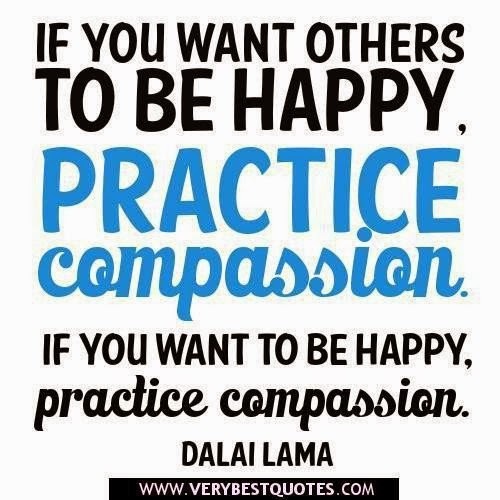 That it is a practice. That it is a dialogue. Every religion has made prayer a ritual with their prescriptions and standard operating procedures. The reality is that prayer is about being immersed, being alive, and, in fact, just being. So, being in the present moment, engaged with Life, living, and totally immersing yourself, mindfully, in thought, body and soul with whatever you are doing, is prayer. Offering whatever you do to Life, in gratitude, is prayer. If you are cooking, cleaning, sweeping, making a presentation, making love, preparing a report, tending your garden, drinking, eating, whatever, make it an offering to Life. 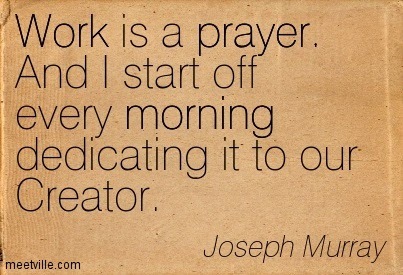 That’s when work becomes prayer. 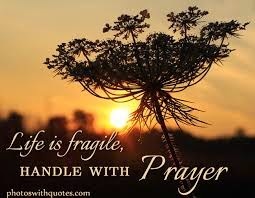 And living becomes praying. Then you don’t need to ask anything from Life. All the answers are there in front of you, within you. When you reach this state of awakening, you stop treating work as drudgery. Every day then is fun. Each moment comes alive. And Life becomes meaningful. Blissful. Author AVIS ViswanathanPosted on February 12, 2017 Categories Life, Prayer, Spirituality, Uncategorized, WorkTags Art of Living, AVIS Viswanathan, Bliss, Fall Like A Rose Petal, Gratitude, Happiness, Inner Peace, Intelligent Living, Osho, P.C.Ramarkishna, Prayer, Religion, Spirituality, The Artist's Soul, The Madras Players, Vaani, Wandering Artist, WorkLeave a comment on Do what you love and offer yourself to it!